Invested in our community, Sante Property Reconstruction has proudly served the Somers area for more than 30 years. Our clients return to us time after time for their property damage repair services. Known for our quality workmanship, we are a licensed and insured disaster reconstruction company. Sante is dedicated to professionalism. Our specialized technicians have access to the latest equipment and tools. This keep your labor costs low. If you need help now, we offer 24/7 disaster reconstruction service. Whether you have mold growth, fire damage repairs or general contracting needs, we are your expert solution. Offering property damage reconstruction to residences and businesses, we can handle large scale commercial facilities or home repairs. Emergency storm damage service is available in a crisis. When disaster strikes, you can trust Sante Property Damage Reconstruction to be there for you and the community. The unexpected can happen to any home or business owner. From water damage repairs to mold elimination services, we are trained and ready for anything. We have decades of experience handling complex issues like fire disaster services and commercial property damage. Sante Property Damage Reconstruction even provides insurance claims assistance. During an overwhelming time, the last thing you need is more stress. When you work with Sante, we will be on your side from start to finish and achieve complete property damage reconstruction. Put your project in good hands with trusted and professional disaster service. If you are in the aftermath of a fire, we don’t need to tell you how complicated it can be. Fire disaster reconstruction requires a professional. Stopping the spread of smoke and soot damage, we address water damage from firefighters as well. Our property damage repairs are comprehensive solutions. We sanitize the space so odors, moisture, and mold are eliminated. With free estimates available, we plan and tailor services to our client’s budget and timeline. Contact us any time, night or day to discover how we can simplify fire disaster reconstruction. Eliminating water damage does not have to be a crisis. With our step by step planning, Sante Property Damage Reconstruction provides expert solutions. Water damage services often ignore long term issues like humidity and mold. Our water damage reconstruction handles the entire situation. Working with insurance companies, we offer solutions for disaster repairs that keep customer costs in mind. Sante proudly serves Somers’ commercial properties and residential. Give us a call for a free estimate today! Moisture and humidity encourage mold growth in homes and businesses. Until they are addressed, mold will return. Our mold damage reconstruction stops mold at its source. While we are working, we contain the area to protect customer’s health and air quality. Unless this is done by a professional mold repair company, it can lead to the spread of spores and health risks. You can have peace of mind by working with our expert technicians for complete mold damage reconstruction and repairs. When weather strikes, count on us to be there fast. Our storm damage repair and reconstruction services can be to your property in an emergency. If you have a home or business that has been damaged by storms, call us now. Our licensed storm reconstruction teams can stabilize your property and prevent storm damage from spreading. During Sante’s 30 years of experience, we have seen flooding, wind damage, and ice dams. From start to finish, storm reconstruction will be completed on time and to the highest standards. From industrial buildings to apartment complexes, we have decades of experience handling Andover commercial property reconstruction. Our licensed staff is fully trained and equipped to manage the needs of any business. Whether your business reconstruction is large or small, we will make it our priority. You can count on our sophisticated solutions and commitment to craftsmanship. Give us a call today to discover all that Sante Commercial Property Reconstruction has to offer local businesses. Does your property need general contracting in the Andover, CT area? Sante Reconstruction is available 24/7 with our fast and friendly general contractors. We are fully licensed and insured for your peace of mind. Need a general contracting quote? Just give us a call. We will be happy to give you our time and commitment to a project completed professionally and quickly. Whether commercial or residential, we can create a personalized general contracting plan with your budget and needs in mind. 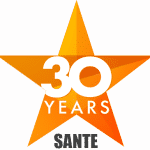 For over 30 years, Sante has been dedicated to responding immediately to your Andover reconstruction emergency. We’re proud to specialize in fire and water damage reconstruction. As the cornerstone of our business, Sante has extensive fire damage repair training along with mold elimination. Let us help you quickly get your home or business back to pre-disaster condition. Does your Somers Home or Business have Damage?